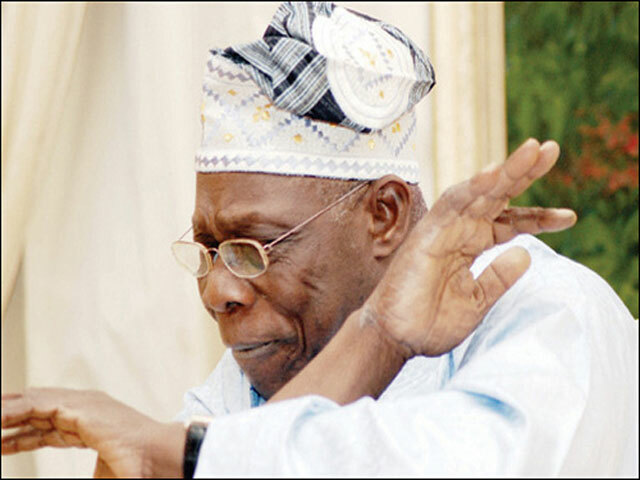 The Peoples Democratic Party has said that it will not force former President Olusegun Obasanjo to return as its member. It said it would respect the decision of the former President, but added that whether he returned or not, it (the party) would not die. Obasanjo had on Tuesday vowed never to return to the party, saying he would rather remain a statesman, working for the interest of the nation. He spoke with journalists after he held a meeting with the National Caretaker Chairman of the party, Senator Ahmed Makarfi, behind closed doors at the Olusegun Obasanjo Presidential Library, Abeokuta. He had said, “I have told the chairman that I was in the PDP before but not now. God forbid, se when dog vomits, it will go back to eat its vomit, no. “I have said no partisan politics for me again, but Nigeria is my passion until death do us apart. And anything that concerns Nigeria, the good of Nigeria, you’ll see my involvement. 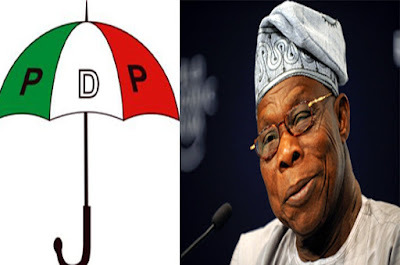 Reacting, the spokesperson for the PDP, Prince Dayo Adeyeye, said Obasanjo had earlier said that he would not return to the party, adding that as an individual, the party would respect his views. He said, “He has said it before (that he won’t return to the party). We are not going to force him. No individual is bigger than the party. “Obasanjo has the right to hold his opinion. But the PDP will not die, either he joins us or not. Meanwhile, as the countdown to the December 9 elective convention of the party draws nearer, the South-West geopolitical zone has been warned on the danger of losing the national chairmanship of the party if it failed to agree on a consensus candidate. A former Minister of Police Affairs Minister, Adamu Maina Waziri, gave the warning in Abuja on Wednesday at the declaration of a former governor of Ogun State, Chief Gbenga Daniel, for the office of the national chairman of the party. Waziri warned that the zone would be the loser in the event of the inability of any of the aspirants from the zone to emerge victorious at the December convention. He called on the aspirants from the zone to close ranks and present a common front at the convention in the interest of the party. Also speaking at the declaration event, a former Aviation Minister and a chieftain of the party, Chief Femi Fani-Kayode, lauded the leadership acumen of Daniel even as he charged the PDP to shun divisions within its ranks. Fani-Kayode, who described all aspirants from the zone as his personal friends, however, insisted that Daniel remained the first among the equals in the pack. In his speech titled, “Let’s start afresh…Together we can do it,” Daniel said he was in the race to make a difference having taken stock of the troubles that rattled the PDP in the past couple of years. He said, “I have come to the conclusion that the challenges which face our political party are not permanent. They could be rectified through a careful deployment of resources, the will power and ability to work through difficult situations, concessions and compromises if need be, and ability to move all our people into one disciplined accord on all matters. “I declare before you today to contest for the office of the national chairman of the Peoples Democratic Party at the national convention. But the senator representing Ogun East Senatorial District, Buruji Kashamu, has said it will be “a monumental disaster” to elect Daniel as the PDP national chairman. Kashamu said in a statement on Wednesday that Daniel was the least qualified among those aspiring for the post. The statement read in part, “When I heard that he was vying for the post, my initial reaction was that it was a joke. But, now that he has decided to make a formal declaration, I would say it is a joke taken too far.